My dog hero’s name is Sakira. She is a white bull terrier. Smaller type, but a magnificent dog. She likes to lie in the sun. Due to this, and the fact that she has a white coat, her skin really gets dry and pink from the sun. 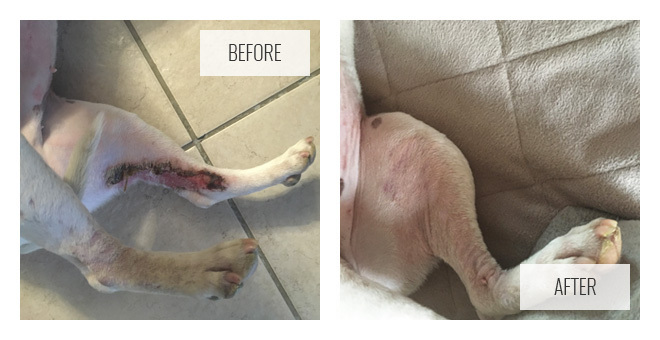 She started having these wounds on her one leg. Refer to before photo – it was raw and bleeding. We tried all products and it was really, really bad. 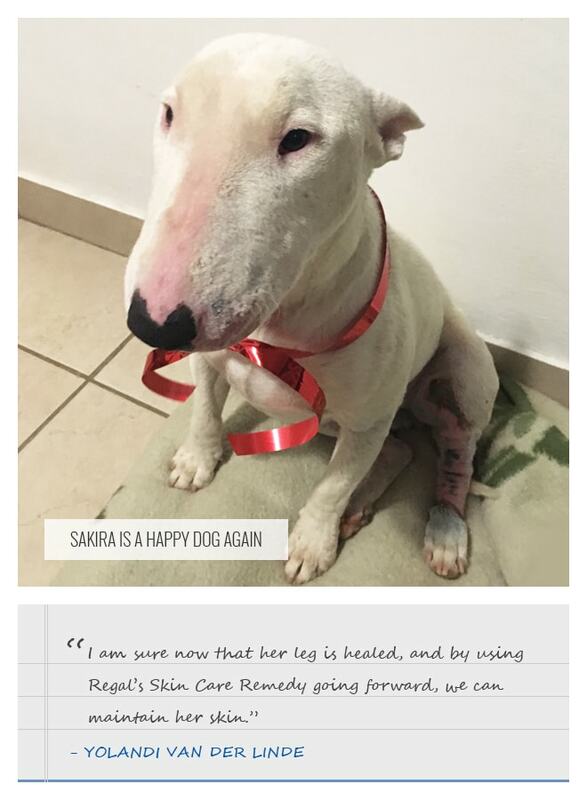 We saw the advert on TV of the white bull terrier that healed due to using the Regal Skin Care Remedy. I got the Skin Care Remedy from the vet shop at Preller Walk in Bloemfontein. I started giving her this product over her food and after 2 to 3 weeks we could already see a difference in her skin being not so pink any more, more oily and she has less hair loss. Due to the bad condition of her skin we had to take her to the vet to also give her cortisone injection. We now know that she definitely has a skin allergy and therefore this will forever have to be maintained. 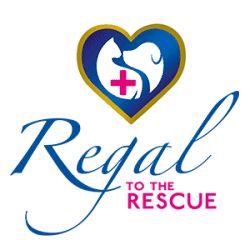 I am sure now that her leg is healed, and by using Regal’s Skin Care Remedy going forward, we can maintain her skin. We also started to give this to our brown male bull terrier, Bronco, to improve his skin and help with the hair loss. She is now a happy dog again and really enjoys life. Thank you Regal. I can really confirm that this product works and is worth spending money on.